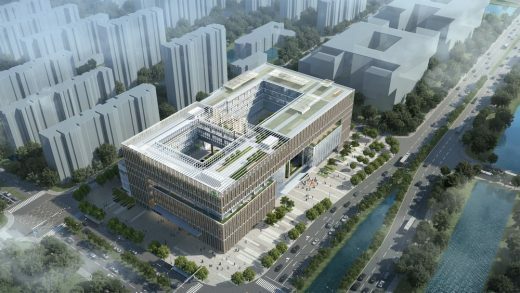 Paul Davis + Partners Hong Kong office has revealed designs for an ambitious mixed-use scheme to be located at the heart of the newly created high tech zone in Ningbo, one of China’s oldest cities. 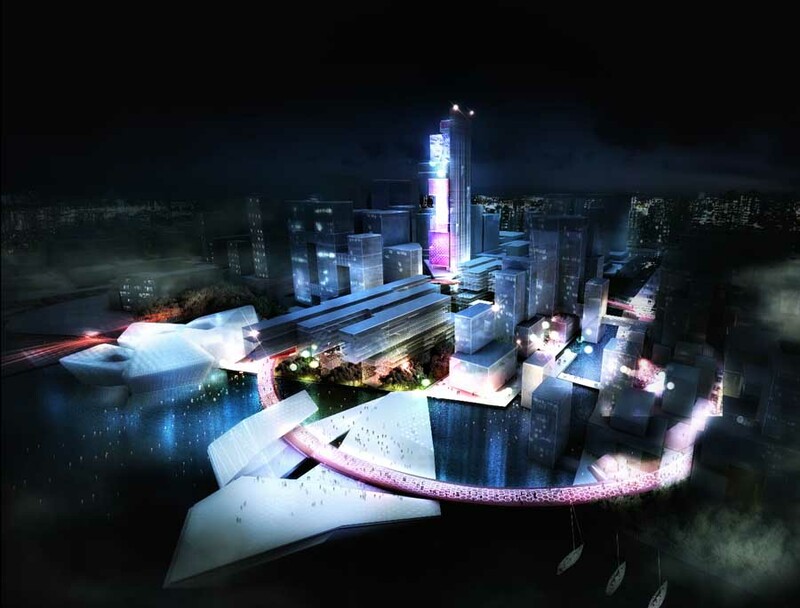 The Smart City Masterplan is a 120,000 sq m development comprising a mix of residential, offices and retail. The striking design employs a layout that is both human in scale and welcoming to users. 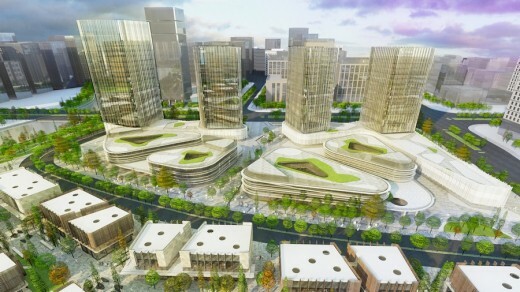 The scheme is divided into two zones – the central zone, which includes four office towers and a low-rise office campus, and the riverfront zone, where either commercial units or luxury villas are proposed. 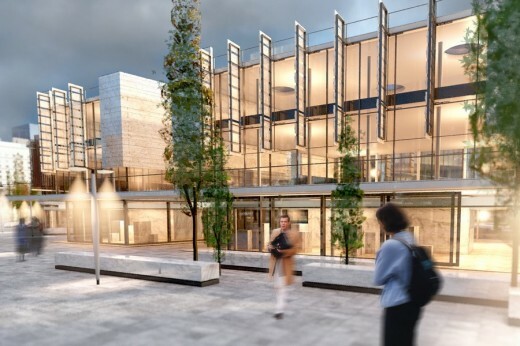 The aim of this high quality development is to provide different types and scales of commercial buildings in order to attract a broad spectrum of businesses. 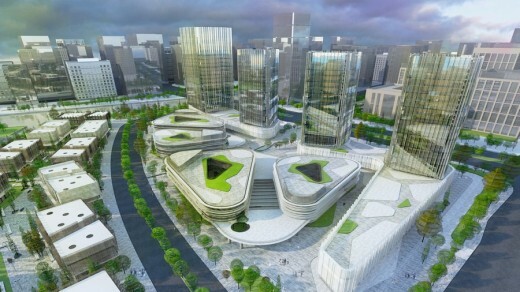 Smart City has been designed for Gao Investments and is one of a clutch of projects that pdp [east] is developing for Ningbo with a total floor area approaching half a million sq m. The port city located south of Shanghai, has become home for iconic buildings by some of the biggest names in architecture, including the Ningbo Museum by Pritzker prize winning architect, Wang Shu.